I don't find myself often standing in front of a chip display at the grocery store very often. I suppose it's just not normally something I think about as I'm not a salty-foods snacker (but certainly am a snacker!). In fact, if I do end up having chips somewhere in my pantry, they're bound to be tortilla chips. However, when I do decide to purchase a bag of the potato-ey goodness that are chips, I often reach for kettle chips. I was approached a little bit ago with information about Classic Foods' new line of chips, the Risi Papas Caseras series. It's an homage to Mexican cuisine and contains four flavors all with indigenous chiles from Mexico. "Papas Caseras" translates to kettle chips (yes, the title of this post is a little redundant...), the crunchy slow-cooked style of making flavorful and awesome chips, and all of the flavors highlight a different chile which leads to sweet, tangy, zesty, and fiery choices for any buyer. I had a chance to give them each a try AND snag a box to give away to one of you readers, so read on about them! Bonus: the packaging is in both Spanish and English. "Habanero – The Habanero is one of the hottest chili peppers one can find. 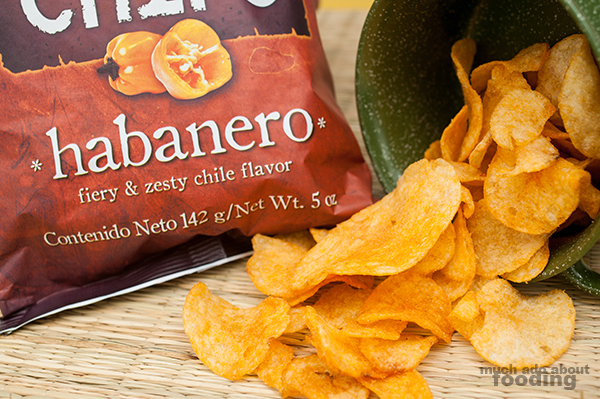 True to their name, these chips offer a fiery and zesty flavor that is sure to test the taste buds of even the most seasoned lovers of spicy foods." 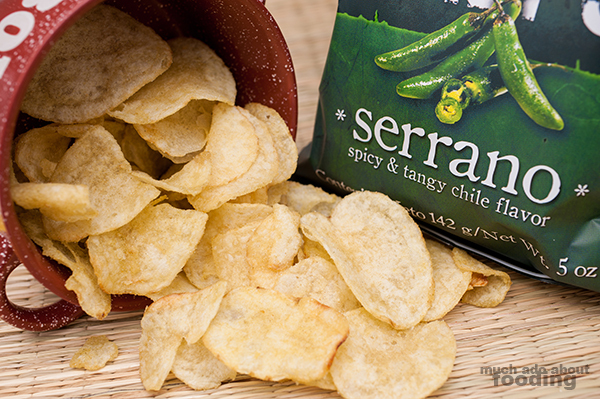 "Serrano – The spicy and tangy Mexican chili flavor creates a mouth-watering sensation that will make the tongue curl and ask for more." 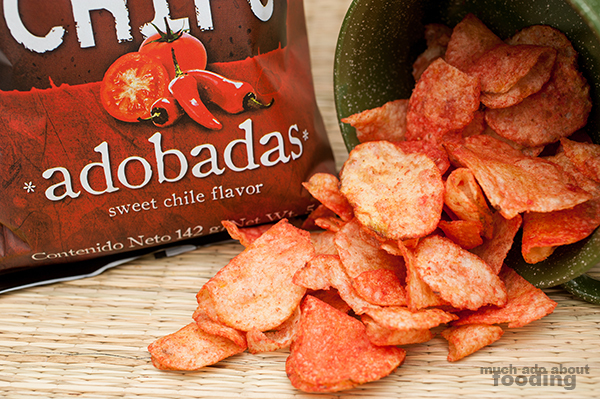 "Adobadas – Adobadas chips are flavored with Mexico's famous red chili marinade. It satisfies the hunger cravings with its zesty and sweet taste." 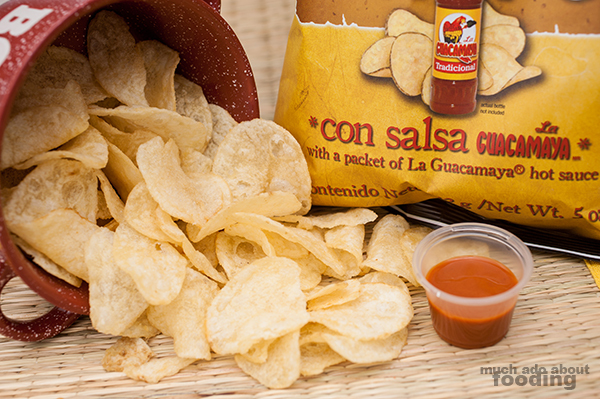 "Con Salsa - These lightly salted chips contain a packet of spicy and savory La Guacamaya® hot sauce giving you the option to spice things up with one of Mexico's tastiest sauce." Disclaimer: I received one or more of these items for this review. All opinions stated are 100% mine. I am not in contract nor do I work for any of these companies. I am not responsible for the shipment of the prize as the sponsor ships the prize; thus, I am not responsible for prize fulfillment. 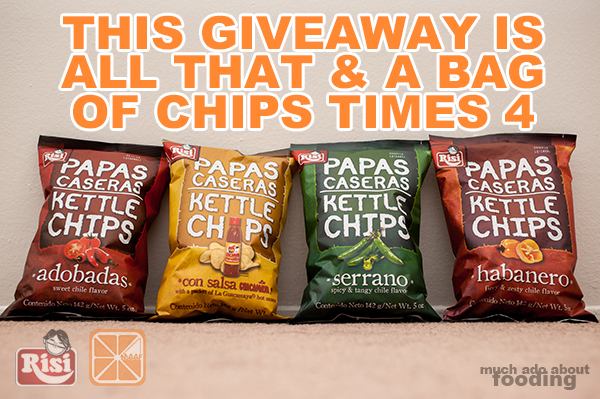 This giveaway is U.S. only. Thank you for entering! Adobadas! I love the flavor of sweet + spicy! Personally I don't like spicy, but my husband does. So if I win, the chips are for him. I know he'd like the serrano flavored, because he eats everything that has serrano peppers. I LOVE the serrano one. You could try a little bit of it before it gets spicy! Love them, just enough of a snappy spicy taste. Yep. Have you tried them already then? Adobadas because a tad of sweetness is tasty with the spice. Thanks! Oh yes. It's a good balance. Serrano as I'd love to try that Mexican tangyness combined with the spicyness! I finished off the Serrano bag pretty quickly - my fav! I love chips! So I would love to try all of these flavors. Abodabas sounds most interesting with sweet & spice!